The child protection officers of Darjeeling and Jalpaiguri districts have been suspended for their alleged involvement in the illegal sale of infants from an orphanage in Jalpaiguri town. Mrinal Ghosh, the protection officer of Darjeeling, and his Jalpaiguri counterpart Sashmita Ghosh were suspended from the posts by the respective district magistrates. While Mrinal had already been arrested and remanded in CID custody, his wife Sashmita has been repeatedly questioned by the agency at Pintail Village near here. "Showcause notices were served on both of them. After Mrinal was arrested, he was suspended from the post yesterday. 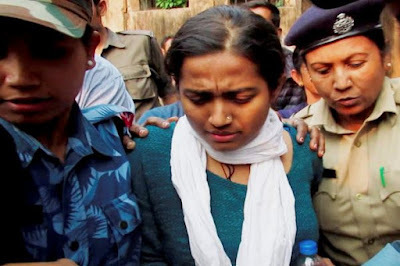 On the other hand, the Jalpaiguri district administration found the reply sent by Sashmita unsatisfactory and today, she was also suspended," said an administrative source said. Along with Mrinal, members of the child welfare committee of Darjeeling have also been showcaused. "The CWC members have been showcaused for sending children to an orphanage in Jalpaiguri without involving the CWC of Jalpaiguri. Some other irregularities have also come to our notice. The chairperson of Darjeeling CWC has been asked to collect replies from all members and submit the same to us in three days," Anurag Srivastava, the district magistrate of Darjeeling, said. The CID has found that 17 children were illegally sold from Bimala Sishu Griha - the orphanage run by North Bengal People's Development Centre, the NGO headed by Chandana Chakraborty - in the past three-four years. The Jalpaiguri district administration is also probing the activities of a private home for boys in the New Jalpaiguri area, close to Siliguri. The child protection officers of Darjeeling and Jalpaiguri districts have been suspended for their alleged involvement in the illegal sale of infants from an orphanage in Jalpaiguri town. Mrinal Ghosh, the protection officer of Darjeeling, and his Jalpaiguri counterpart Sashmita Ghosh were suspended from the posts by the respective district magistrates.